A phrase that is familiar to most, “it takes a village”, is all too often easier said than done. When single mother of two, Tamara Custard, had a vision to bring back the "village" mentality to the youth of Kalamazoo, the nonprofit Village in the Valley started to grow. Village in the Valley was derived solely from the thought of "bringing back the Village mentality" to our youth, says Custard, the executive director of the two-year-old organization. “When I think of ‘village’, I think of unity….to reach one is to teach one, but with the village we can reach all and teach all,” she says. Tamara Custard is the executive director of Village in the Valley. “We wanted to approach with true care, love, and desire to help parents in need and those that just need that extra set of eyes to redirect behaviors that could deter them from a path of success,” says Custard. "Our goal was to provide positive outlets to youth through mentorship, fun, giveaways, and events that could teach them the basic essentials in life for career and life goals. We host anything from homeless events with child feedback on how that made them feel, to back to school bashes with free supplies and end of summer fun." Custard knows all too well the emptiness and the hard road that those in need, homeless, or abused youth face each day. With an open heart, she says, “I came from a home where my parents didn’t care…and was even sexually assaulted by one…and saw my siblings suffer, too.” By the age of 12, she was on her own. In a January 2017 survey done by Michigan’s Local Initiatives Support Corporation (LISC), a point in time count in Kalamazoo County documented 479 individuals as homeless; 164 of those being children. According to Covenant House, 57 percent of homeless children in America go one day every month without food, and nearly 50 percent report intense conflict or physical harm by a family member as a major contributing factor to their homelessness. Custard, a native of Detroit, says, “I grew up trying to learn better.” She graduated from the Police Academy in 2008, and began to settle down in Battle Creek, started the hiring process, and was in the final stages of that with the Battle Creek Police Department when the recession hit and all new applicant hiring was placed on hold. 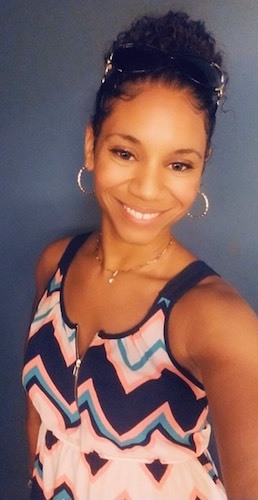 After the birth of her first child, she returned to school to study social work and later became employed at Lakeside Academy, a youth and family program that focuses on the confrontation and redirection of negative behavior while recognizing desired, positive behavior. And share is what Custard does best. Through the sharing of her life experience and her caring heart, along with the efforts and hard work of the volunteers of Village in the Valley, Kalamazoo youth, homeless, and those in need have been given meals, school supplies, mentoring, and even costumes that they may not have otherwise received. The first year of its existence, the organization partnered with the YMCA of Kalamazoo and Little Caeser’s to feed the homeless 44 pizzas. They also handed out 50 sack lunches to the homeless in MLK Park downtown. 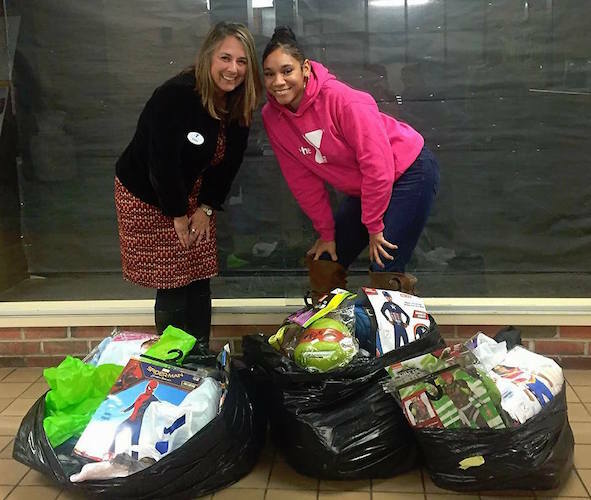 In partnership with the YMCA of Kalamazoo, they conducted a membership drive where the initiation fee to join the Y would be waived for those who brought in a gently used or new Halloween costume to help a child in need. In 2016, more than 150 costumes were collected. This drive took place again in 2017 and 400 costumes were collected and distributed. In partnership with the YMCA, Village in the Valley collected costumes to give to children in need and has undertaken several other projects.Village in the Valley has partnered with other organizations in the past several years to reach many and with the hopes to teach all. Take, for example, the partnership with the Kalamazoo Gospel Mission to host a Thanksgiving Outreach Luncheon. Custard says, “this was not only for the residents of the Mission but for the community as well.” So was partnering with the YMCA Preschool and Tot Spots at both Maple and Portage branches for a toy drive to benefit the children residing at the YWCA. One of the bigger events hosted by Village in the Valley for the past two years has been its Back to School Bash. With the help of the YMCA of Greater Kalamazoo, over 100 backpacks full of supplies were handed out to children ages 6 through 17 in 2017. For any backpack brought in to be donated, the YMCA waived membership registration fee. This year the Y will make that offer again through the month of August. Custard says the school supplies come from donations from individuals, companies, and organizations as well as fundraising Village in the Valley does throughout the year. This year’s Back to School Bash will take place Aug. 25 from 9 a.m. to 3 p.m. in the back parking lot at 350 E.Michigan Avenue, in downtown Kalamazoo. There will be free food, games, and vendors. There will also be Poverty Reduction Education and young male mentoring and follow up assessments conducted by Men of Purpose. Custard says supplies are still needed. So are volunteers. As the guiding idea behind the nonprofit, what exactly does "village" mean to Custard? “A safe haven for youth who feel they have no outlet, and in the end, feel like family. That is what village means to me,” she says. She has taken a life that would seem almost impossible to many and used it to energize a movement to bring a community together to be that "village." Read more articles by Heather Gorning. Heather Gorning is a newer resident of the Edison Neighborhood, a proud grandmother of two, and in her spare time, a Fitness Instructor at the YMCA of Greater Kalamazoo, and now a Community Correspondent for On The Ground Edison. Heather comes from a military family and has lived in California, Indiana, Maryland, Massachusetts, Michigan, and Virginia. Her favorite memories are those of Virginia. She says the scenery, the history, the people, and the summers spent completely barefoot still ring clear in her memory. Each weekend was spent either at the ocean, camping, or at the battlefields and museums. She is looking forward to sharing her love of the outdoors and nature with her grandchildren and making a positive difference in the Edison Neighborhood.